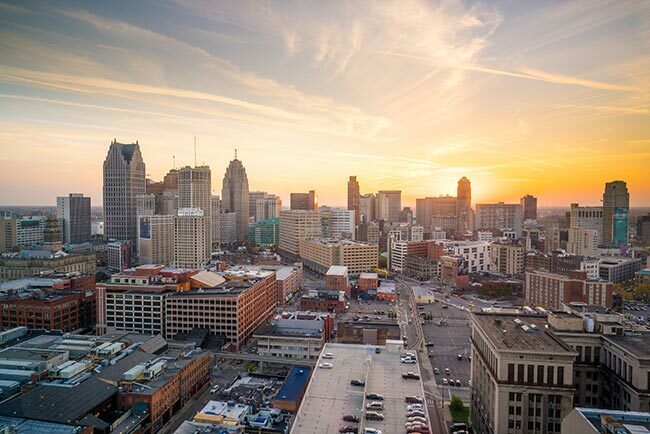 Known across the country as the Motor City, Detroit, Michigan is the heart of America’s automotive industry. The town and its metropolitan area are home to the most important production centers for the “Big Three” automakers: Ford, Chrysler and General Motors. These companies and others in the area have kept the American people in transit for decades. ExpeditedFreight.com brings the benefits of this transit back to Detroit, providing quality logistics services to keep the city producing and innovating. 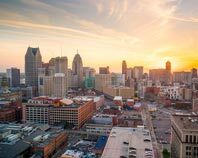 Detroit’s thriving automotive industry depends on regular shipments of tools, parts, and other supplies, all of which must arrive in time to meet automakers’ strict production deadlines. This creates a challenge for carriers, especially given that such supplies also have to be delivered safely. Even minor damage to automotive parts can result in vehicles that are highly unsafe, creating liability issues for automakers and injuries or even deaths for drivers. Carriers who operate in the Metro Detroit area are thus tasked with developing a shipping strategy that fuses both speed and safety. ExpeditedFreight.com has created a strategy with exactly those benefits and more. Our team has extensive experience shipping in Metro Detroit and other metropolises across the United States and Canada. Our clients range from automotive manufacturers to construction firms to energy companies of all stripes, meaning we know how to transport items that cannot be disturbed on the road. Combined with our commitment to speed, this leaves us in the perfect position to serve all the businesses in Detroit, as well as those in Warren, Southfield, Pontiac, Novi, Troy, Toledo, Flint, Southfield, Lansing, and Ann Arbor. ExpeditedFreight.com's success comes in large part from our reliance on dedicated trucking, a shipping method that involves reserving a truck or van for each order. This tactic ensures that we always have enough space to accommodate any storage equipment you need, meaning we can transport delicate or perishable goods without damaging them. It also speeds up the expedited delivery process, as we won’t have to visit other clients’ destinations before we get to yours. For each delivery over a certain distance, we assign two drivers to operate the truck, and make them take turns driving and resting. This guarantees that each driver will always be rested enough to work safely. As a result, we can drive day and night without raising the risk to your goods or our personnel. ExpeditedFreight.com plans every delivery in depth, looking for obstacles, harsh weather, traffic, and anything else that might derail our vehicles. We then monitor your order while it is on the way, and at the first sign of trouble, we change course to keep the vehicle on schedule. If you ever want to know where your order is, you can contact our 24/7 customer support line for a precise report. ExpeditedFreight.com operates in all major American and Canadian metropolises, allowing us to ship into Detroit from any point or out to any destination. For more information or to get a free quote, contact us today at (313) 887-0577.